Delhi with its heat, crowd, traffic and pollution exhausts its natives. They become so tired with their hectic lifestyle that they badly start craving for a holiday. And regardless of the huge list of things to do in Delhi, they want a break away from this bustling city that can rejuvenate them. The capital city is encircled with a gorgeous range of hill stations providing a boost to your mood and rejuvenate you completely. Explore top hill stations near Delhi that you can explore to get a holiday break in summers. Located at a distance of 430 KM away from Delhi, Shimla is a beautiful hill station that provides utter relief to its visitors. A road trip from Delhi to Shimla is so amazing that you get transported into a world of supreme splendor. 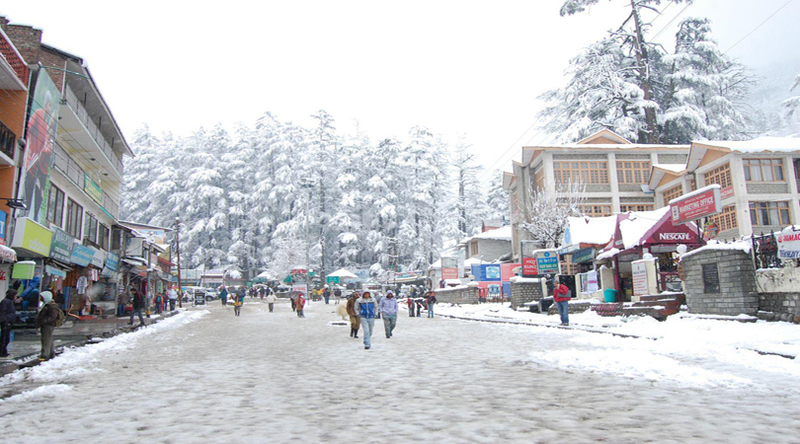 Along with the bounty of nature, Shimla also features numerous manmade attractions. One can enjoy here numerous wonderful activities, including nature walks, shopping on Mall road and bird watching. The amazing structures in this beautiful city remind the visitors of the colonial era of Shimla. With touch of harmony, dash of nature and amazing spiritual aura, Mcleod Ganj transmits the travelers into a beautiful world. The place provides soothe to every soul on their visit due to being home to the holy Dalai Lama. On your trip to McLeod Ganj, you can explore several wonderful monasteries and natural views that make it spirituality based hill station. The place offers immense hiking opportunities and allows you practicing Yoga. It is an ultimate hill station close to Delhi to enjoy a spiritual sojourn. Situated at a height of 1,890 meters above the sea level, Kausani is 412 KM away from Delhi. Snuggled amidst the dense pine tree forests, the village offers panoramic views of the charming Himalayan peaks. It is a natural bliss and comprised of numerous tourist attractions. The weather of Kausani remains pleasurable all through the year, which makes it an ideal place for visiting. Mussoorie is a beautiful dreamland and a magical destination, which is located amidst the Garhwal range of Himalayas. The place is recognized for its wonderful flora and fauna and flawless views of Doon valley and Shivalik ranges. It is located at a distance of 290 KM from Delhi and turns into a perfect stopover for people seeking to spend time in the lap of nature. September to November is the best time to visit this place since flora is in full bloom here during this time. 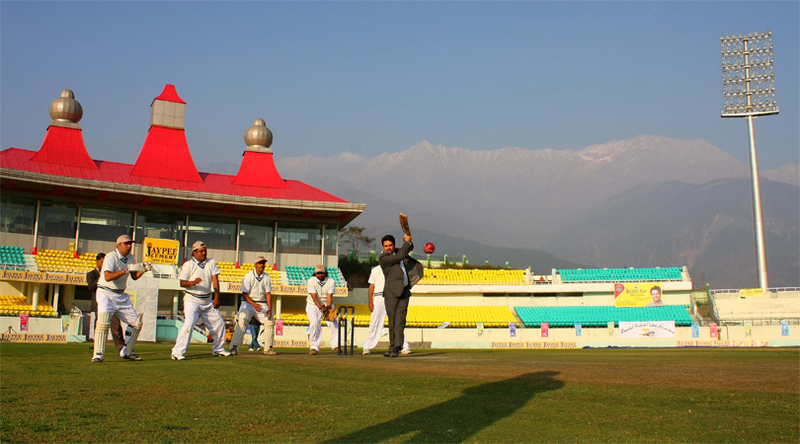 Located at a distance of 352 KM away from Delhi, Chail is home to the highest cricket ground of the world. This charming hill station is known for its foggy atmosphere, lush green forests, charming climate and historical significance. Situated near Delhi, it used to serve as the summer capital of the Maharaja of Patiala. It is positioned at an elevation of 2,250 meters above sea level and moderate climate throughout the year. Surrounded by Kumaon hills, Nainital is a famous hill station close to Delhi. Popular for its scenic lakes and remarkable landscapes, the place provides utter relaxation to its visitors. Nainital is bounded with charismatic natural beauty and flawless greenery. Located 300 KM away from Delhi, this beautiful destination of Uttarakhand is ultimate for enjoying a nature’s escape. Top activities to enjoy in Nainital are boating, hiking and wildlife excursion. Enjoy the astonishing panorama while being here. Lansdowne is a beautiful cantonment town located in Pauri Garhwal district of Uttarakhand at 250 KM distance from Delhi. It is located at an elevation of 1,700 meters above the sea level; the place is encircled by dense forests of oak and blue pine trees. The place is known for its beautiful weather, which creates a long-lasting impression on the mind of its visitors. One can enjoy here activities like, trekking, bird watching and boating. Located 310 KM away from Delhi, Kasauli is a cantonment town known for its gorgeousness as well as simplicity. The place was developed by the British as a hill station due to its wonderful environment and pleasant weather. There are several nature’s points and trails in this place that allow you to enjoy the gorgeous views of the surroundings. This charming retreat is located about 570 KM away from Delhi and supposed to be one of the most incredible hill stations of Northern India. Visited by a large number of travelers, Manali enjoys the delightful waters of the Beas River, mesmerizing views of the Himalayas and a number of adventurous activities. The picturesque setting makes Manali an ideal hill station to go on a break from Delhi. Top activities that one can enjoy on Manali tour are trekking, mountain climbing, Paragliding, rafting and skiing. This is also a great stopover for honeymooners.